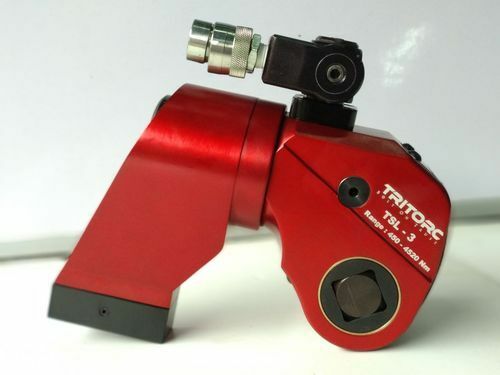 Tritorc is one of the leading Manufacturer and Exporter of Hydraulic , Electric & Manual Torque Wrenches and Impact Sockets. We are also Experts for Onsite Bolt Torquing , Tensioning and Pipe Cold Cutting Services. Counted amongst one of the top organizations, we have come up with a broad collection of Hydraulic Torque Wrench, Electrical Wrench, Impact Wrenches, Manual Torque Wrench, Bolt Tensioner, Hydraulic Power Pack, Impact Socket, Tube Tools, Torque Multiplier etc. We are also offering Hydraulic Torque Wrench Rental Service. We offer these products at market leading rates.